Camden Town (often shortened to just Camden) is one of the most eclectic and exciting places to live in London. It is very much an iconic cultural hotspot, popular with tourists and local residents alike. The area is famous for its markets, its picturesque canal, foods from around the world, but most of all its music. From Koko to The Roundhouse to The Jazz Cafe to the street performers that brighten up our day, Camden has some of the best music venues London has to offer. However, if you think it is all just hustle, bustle and none stop excitement, think again. It is an exciting place to live but dig a little deeper and you will find Camden has so much more to offer. 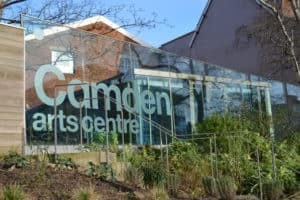 Camden is also the home of a number of exceptional museums, art galleries and of course ZDL London Zoo. There is an organic supermarket, independent pop up exhibitions and some fantastic restaurants. 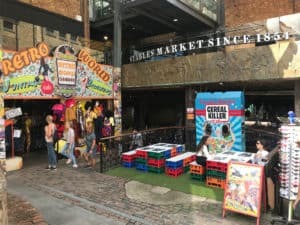 Authentic street food stalls selling delicious foods from around the world share a pavement and compete for custom with established Michelin Star eateries such as York & Albany (Gordon Ramsey) and ‘My Restaurant’ (Gino D’Acampo). Camden Town has been a popular place to live for years, thousands of years to be exact. This might sound like a ridiculous exaggeration, however, the earliest known settlements in the area date back to the Mesolithic age around 7000BC. The area owes its name to Charles Pratt who was awarded the title of Earl Camden. He was a lawyer, a judge and a leading proponent of civil liberties. During his lifetime he invested heavily in developing the settlement that later went on to become Camden Town. Back in the 1700s and 1800s, Camden Town was a quiet, middle-class, residential suburb. It was the home of a number of leading influencers of the time, including Charles Dickens. As the industrial revolution gripped the UK, The Regent Canal became a key transportation hub and the lock area very quickly become industrialised with warehouses. By the early 1900s the area had become run down and dangerous, very different from the Camden Town we know and love today. Charles Dickens featured Camden in a number of his novels, Bob Cratchit’s family in A Christmas Carol and The Micawbers in David Copperfield to name but two. His description of the area being tough and gritty. 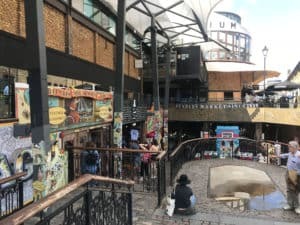 In the late 20th century Camden first became a cultural and musical hotspot with the likes of The Rolling Stones, Pink Floyd and Amy Winehouse all calling Camden home. This can still be felt today through its many pubs and music venues. It was later gentrified and has become the area we are familiar with today. 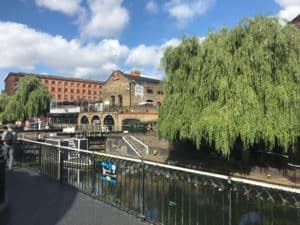 However, Camden has not lost its charm and it is still an exciting and lively place to live, combining everything from Michelin star restaurants to street food, from superstars playing at the roundhouse to up and coming artists playing in the bars and clubs or even on the streets. Camden really is a special and unique must-visit district of London. This free attraction is a must-see for anyone who has an interest in art of any kind. The building itself is beautifully designed combining the original Victorian Gothic features with a contemporary urban design. The galleries attract some of the finest artists displaying a broad range of work including installation, film and video, light-sensitive drawings and sculpture. With over one thousand unique shops, stalls bars and cafes the new market has become the heartbeat of Camden Town. Open seven days per week every day except Christmas Day, the stalls and shops sell everything from handmade accessories to vintage clothing to artwork, gifts, souvenirs and much more. Tired of shopping? Why not stop for a bite to eat at one of the street food stalls offering food from the local area and around the globe. Camden has as many music and theatre venues as anywhere in London, even challenging London’s famous West End for things to see and do. This means we could have chosen any of its famous and perhaps more fashionable and not so famous venues to list on here. However, the Roundhouse is the largest of them all and the venue that attracts global superstars, so probably the most popular choice. 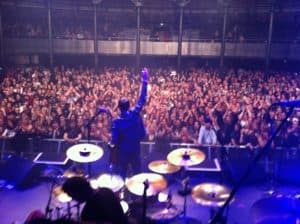 Other notable venues are The Jazz Cafe, Koko and the Electic Ballroom. London Zoo is the world’s oldest scientific zoo and is just a few minutes walk from Camden Town. With modern features such as Land of the Lions, Tiger Territory and Gorilla Kingdom, London Zoo works both as a tourist attraction and a modern scientific conservation research facility. 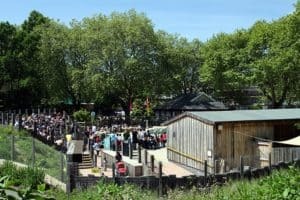 The zoo is packed with attractions and with over 750 species of animals to see and thousands more surprising and fascinating facts, this is a must-visit venue for people staying in Camden. This modern residence is located in the heart of Camden directly opposite the entrance to Camden Market. The residence offers over 260 cutting-edge fully furnished studios all with cooking facilities and en suite bathrooms. 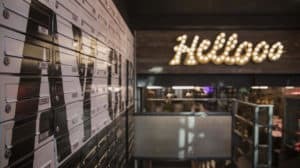 There is large, relaxed social area complete with pool tables, a coffee shop and leather sofas. There is even an onsite diner for when you don’t feel like cooking.